In Central Barcelona, and the hippest neighborhood of Sant Antoni! 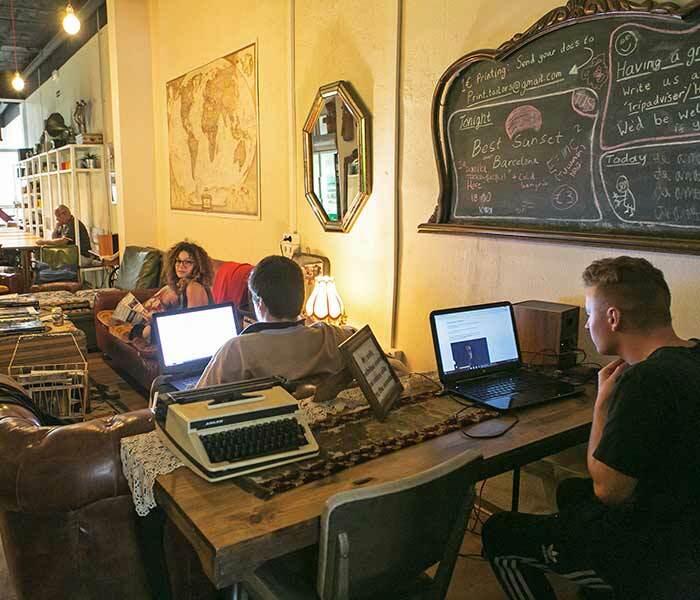 Tailor’s Hostel is located right in between the trendy Sant Antoni district and the upscale Eixample neighborhood, making it the perfect place for exploring the the many different faces of Barcelona. Our address is Carrer de Sepúlveda 146. With just 10-15 minutes of walking, you’ll be able to get to many of Barcelona’s top attractions, such as Plaça Catalunya and Las Ramblas, Plaça Espanya and Montjuïc, and Passeig de Gràcia, a grand avenue filled with Gaudí masterpieces like Casa Batlló and La Pedrera. There is also plenty to see right around the hostel. The Eixample connects the old city center with other parts of the city that used to be separate villages. It’s home to many of the most beautiful buildings in Barcelona from the “modernista” movement (Catalonia’s version of Art Nouveau), and also has plenty of places to eat, drink, and shop here. Have a stroll on Carrer de Enric Granados to find cosy cafés and art galleries, as well as beautiful gardens that belong to the Universitat de Barcelona. Sant Antoni is an up-and-coming neighborhood known for its thriving brunch and vermouth scene. The area has a nice mix of traditional places and cool new spots to check out, with lots of bars, clubs, restaurants, and cafés, especially on Carrer de Parlament. The nearby Sant Antoni Market hosts a secondhand book, comic, magazine and stamp market on Sunday mornings. A couple minutes’ walk away are the MACBA and CCCB museums, home to Barcelona’s contemporary art scene. To get around the city, you have multiple options available. We recommend using the metro, which is fast and easy to navigate. It will take you just about anywhere you want to go in Barcelona. In a few minutes from the door of Pars Tailor’s Hostel, you can either be at Urgell (L1/red line), Sant Antoni (L2/purple line), or Universitat (L1/L2) metro stops. Consider purchasing a T10 card, which gives you 10 trips on Barcelona’s public transportation system. You can buy a T10 at the ticket machines at any metro entrance. How to get to Tailors Hostel? 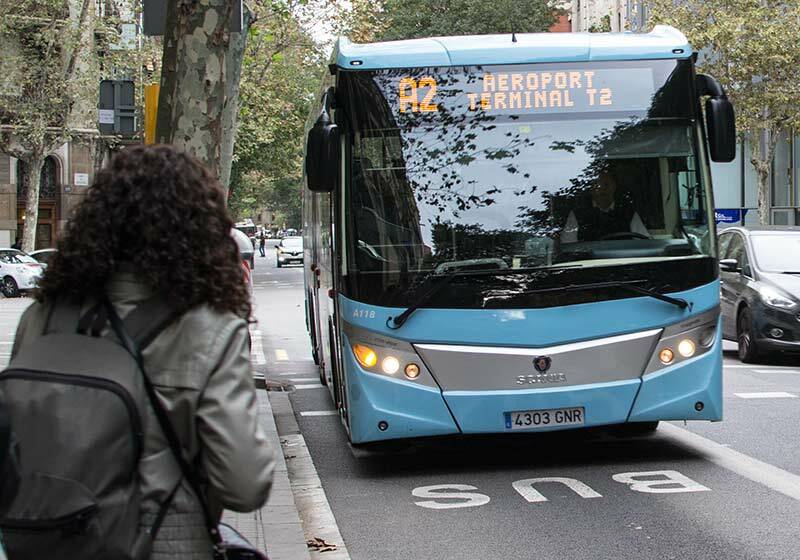 As you Exit the airport take the Aerobus A1 if you are in Terminal 1 or the Aerobus A2 if you are in Terminal 2 towards Placa Catalunya City Center. Get off the bus at Gran via Urgell Station. With the Bus station on your left continue straight until your rich the first street on your right Carrer Compte Urgell. Make a right hand turn on this street and then the first street on your left until you find the number 146 Carrer de Sepulveda. Take the metro L3 (green line) up to the station Espanya. Over there you need to change lines to <L1> red line towards Hospital de Bellvitge direction. Take the red line up to Urgell Metro Station. Exit at Villarroel/Sepulveda. From the Metro exit, make a right-hand turn on “Carrer Villarroel” and then first street on the right until you find the number 146 Carrer de Sepulveda. Take the metro in Arc du triumph line <L1> towards Hospital de Bellvitge direction to stop Urgell station. Here you can find the Google Maps with more details on the map. Look after your belongings everywhere specially in the metro and train station, as unfortunately Barcelona it’s a paradise for pickpockets. We are also very close to the Aerobus stop. Getting to and from the airport from here couldn’t be easier. The Aerobus bus stop is a one-minute walk away on Gran Vía. From there, the bus takes about 20 minutes to get to the airport.